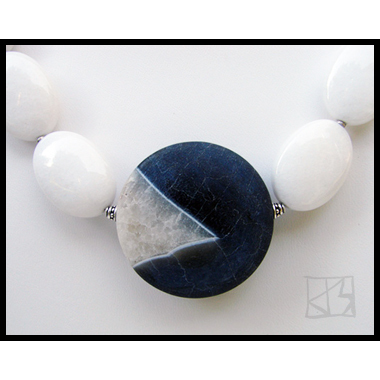 From deep space, the dark of night, icy crystals break free in this ultra-modern piece! 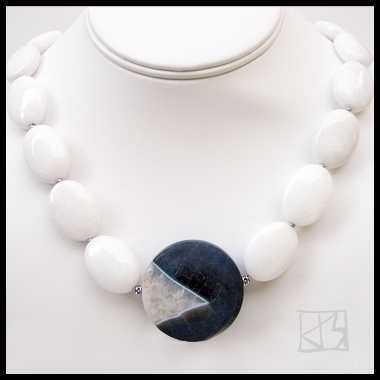 The thick slate-gray disc (1.5") has been sliced to optimize the startling reveal of frosty quartz nature hid inside it eons ago. 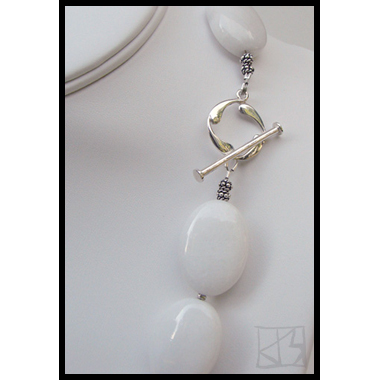 Centered among large milky white jade ovals separated by bali sterling silver and finished with a decorative sterling clasp. Elegant and contemporary with an air of bold mystery... just like you!